← A Short Break From Daily Drudgery – Olfactoria Is Off To London! I wanted to re-post this review, since Equistrius made a major comeback in my perfume-wearing habits. Over the summer I completely neglected this gem in my collection, because it somehow did not work at all, but now that temperatures are down again, I’m once more reveling in its beauty and want to spread the word about this unusual iris. So here is my review, originally posted in May 2011. I wish I had tried Equistrius sooner, but on the other hand, I would have missed many good irises then, because Equistrius would have stopped me in my tracks, I would have been declaring “I have found it!” and would have sat back, just huffing my wrist contentedly, an enigmatic smile of my satisfied face. Which is what I am doing right now. And now and then, between deep breaths and beatific smiles, I write a sentence. This could be a very short review, à la “I love it. Go buy it.” or “Best iris in existence. Go buy it.”, but I am usually a bit more verbose than this and Equistrius deserves a proper accolade. But if you are in a hurry, this is all you need to know: Great iris, go buy it! Equistrius was created by the founder of Parfum d’Empire, Marc-Antoine Corticchiato in 2007, notes include orris, violet, rice powder, chocolate, ambrette, sandalwood, vetiver and grey amber. 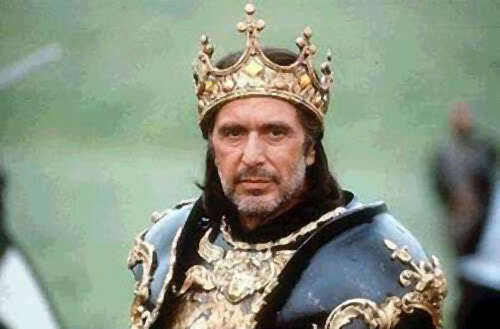 Like the others in the line, Equistrius represents an empire, in this case the roman empire. Equistrius is allegedly the name of a horse belonging to the creator. We already took a look at Ambre Russe, Osmanthus Inderdite,Wazamba, Yuzu Fou, Eau de Gloire, Aziyadé, Fougére Bengale and Azemour Les Orangers. Equistrius can be described in brief as an iris amber, quick thinkers already know why I cannot but love this. In Equistrius the hefty dose of orris is combined with a little violet and gourmand notes of rice powder and chocolate, the whole things sits on a delightful base of ambergris, ambrette and sandalwood. That sounds mighty sweet, even to me when I read this, but it is not sweet at all. Another iris gourmand comes to mind of course – Guerlain Iris Ganache – but there is no real comparison, Iris Ganache is about three thousand times sweeter and more “edible” than Equistrius. The rice and chocolate here work only to make the iris rounder and softer, to smooth out the rootiness. There is a curious spiciness to Equistrius that I cannot place, that keeps me guessing and that keeps the perfume interesting. Apart from a little more violet at the start, and a little more orris in the heart, Equistrius is mostly linear and fades out, I am sorry to say, all too soon. I would be the happiest person in the world if I could say it lasts for 8 hours. It does not, but I get about two to three, then I re-apply (with gusto, I might add, so it is not so bad). The drydown is simply stunning, a totally addictive blend of musk, amber and iris. It is deep, but not heavy, comforting, but still interesting, gorgeous, but sadly fleeting. Now for the bottom line: Would I buy it? YES. Will I buy it? YES. Should you buy it? YES. If you love iris, if you love amber, this is perfection. I would certainly give my Kingdom for this particular horse. This entry was posted in Floral, Fragrance Reviews, Iris, Parfum d'Empire and tagged floral, Fragrance, Iris, Marc-Antoine Corticchiato, Parfum d'Empire, Perfume, Review. Bookmark the permalink. When I read the title of this review I thought, “Wait! Hasn’t this already been reviewed here?” I am glad you reposted this. I’ve been wearing my sample of this for the past two days. It didn’t really work for me this summer, but I am loving it in the cool, rainy autumn we’ve been having this week. I feel very fortunate, as I get about 5 to 6 hours of this on my skin. Granted the last hour or so is very close to the skin, but it is there. It seems to work much better in cooler temperatures. Glad you are enjoying it as well. This review introduced me to my favourite iris and I’m very grateful to you for that. Luckily longevity isn’t bad on me. Lovely in Spring or Autumn. I’m so glad I now have a ful bottle. 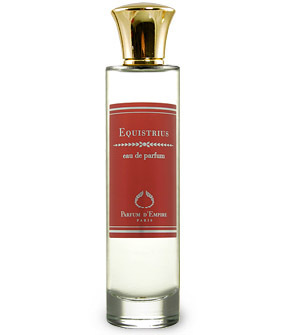 Equistrius is one of my favourites from Parfum d’Empire. The whole line is so enjoyable. Actually, to be honest, I’m buying my 1st Parfum d’Empire next week. Yay, congratulations! It is such a well edited line! I remember liking this when I tested PdE (great sample program!) but it was eclipsed by my adoration of Cuir Ottoman, I must give this another try… thank you for reminding me! Just pulled out my sample to sniff again. It is soooo lovely! I do remember why it got tucked away. Alas, it lasts such a short time. I remember now that I would have totally considered a full bottle if it had lasted a little longer. I do so love iris perfumes! Now I’m curious what the other two in your top three are of course! This is absolutely a favorite of mine and seems to somehow meld with my skin and my entire being at the best of times. There are the occasional times when it does register as a little too sweet somehow — possibly when the temperature is a tad too warm. Nice review! I love how you describe your experience with Equistrius, Joe. Although I am an iris fiend, Equistrius and I never clicked. It’s too gourmand for my (iris) taste. The only chocolate-heavy fragrance I can stand is Luten’s Borneo. Chocolate is something I like to eat, not something I like to smell of (imho). I don’t know many people who weren’t taken by surprise by Equistrius. It is such an unexpected beauty. Actually I am very fond of Eau Suave, I thought, ’til I got a sample from a friend. I was smelling over one and a half hours on my wrist and saying: Oh! Ahhhh! It has changed! Ahhh… is this leather?! … One of the really few scents the blew me away. I am not a huge fan of iris and neither of amber; but I love this one. I just do not think I can weer it, it would wear me. I will try it again and again, let’s see…! I find Equistrius very easy to wear, especially when you wear just a spray or two, it should not be overpowering. Have fun re-trying it, Andreea!